Beaumont Place was part of the Dumbiedykes area of Edinburgh, close to the north-west corner of Holyrood Park. Housing in the area was demolished around the early-1960s and replaced by new housing. 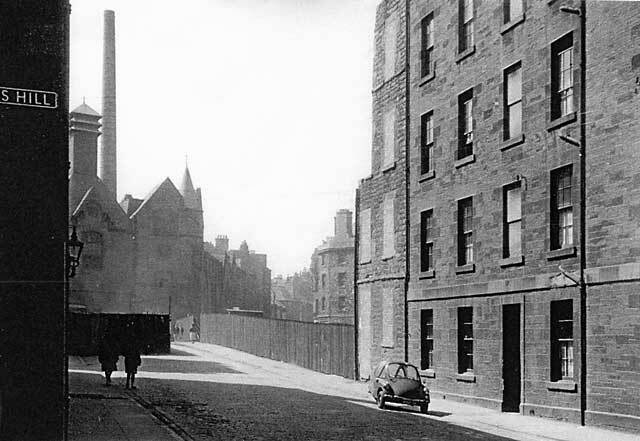 The gap on the right-hand side of the street in the view above is where the Penny Tenement once stood, before it collapsed in 1959.